This entry was posted in Appalachian Trail, Gear Reviews, Health, Pacific Crest Trail and tagged Appalachian Trail, athletic tape, blisters, boots, chafing, duct tape, gear reviews, insoles, liners, merrel, metatarsal capsulitis, mileage, moab ventillator, morton's neuroma, oboz, orthotics, rain, salomon, sawtooth, smartwool, socks, spenco, superfeet, vasque, wigwam. Bookmark the permalink. I had to comment here since I was present at 2 of these shoe purchases and the enabler of the Abingdon orthodics. I hated watching you struggle with shoes. So glad you found a solution. It was pretty miserable there for a while. I just got the second cortisone shot in my foot yesterday, and this is the first day since November that my foot hasn’t hurt. I really wasn’t looking forward to having the kind of foot pain that I had in Damascus again on the PCT. Thank you for all of your help with finding and getting the shoes and orthotics. Oh, and feeding me and letting me use your shower and letting me hide from the rain and take my first zero day at your awesome house. You and your family were absolutely amazing! 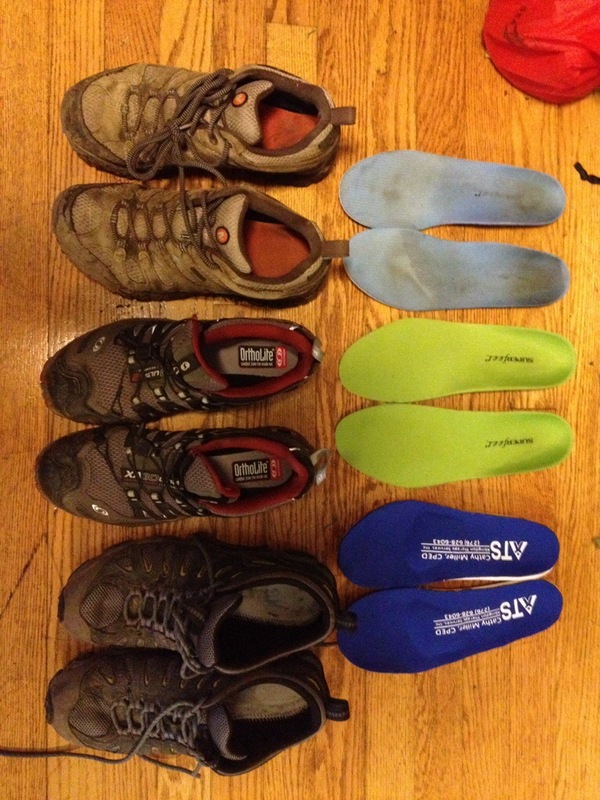 When I’m not on a thru-hike I typically wear a women’s size 10 in Moab’s as well as other shoes… While I’m thru-hiking I typically wear a Men’s size 10 in Moab’s, although I have recently switched to Men’s size 10 Altras. 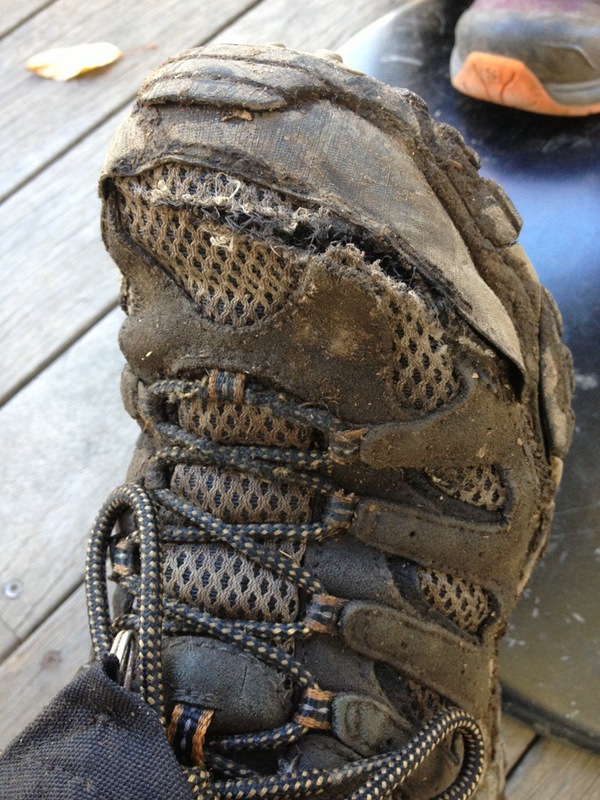 Thank you for writing about Thru-hiking and Morton’s Neuroma. I have a neuroma in my right foot and want to start the AT in early March. Right now, I feel most comfortable in Chacos, but I know I can’t wear those for the first couple months. I tried the Merrells, and my arch/heel area deters me from being comfortable in those. Right now, I’ve got Super Feet and Salomons/Cascadias. Everything hurts in every shoe, but these are the best. I am leery of getting cortisone shots, because they supposedly weaken the tendons in the foot over time. Do you think I should attempt the AT and hope that my toes go numb every day/pop aspirin before sleeping? I mean, how painful is it really? Should I try to get special orthotics before I go? Should I get cortisone shots at intervals along the way? I am planning on having the surgery next year when I’m done. This is the ONLY fear I have for AT completion. I’d really appreciate your advice having walked 1800+ miles on a neuroma! 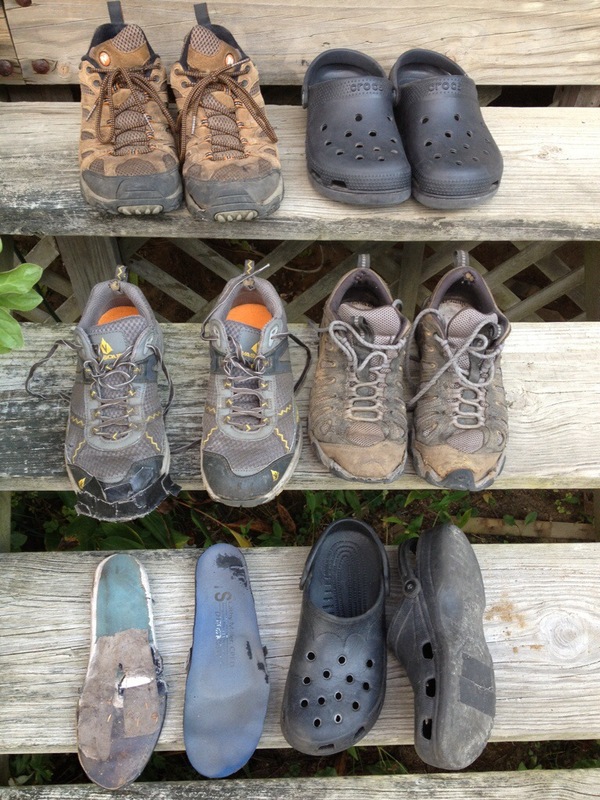 On the AT mine was really *really* painful after the first few hundred miles… enough to make me want to curl up in a ball on the side of the trail and cry… For me the combination of custom orthotics and shoes with a wide toe box were the key. There are some people that hiked the whole AT in Chacos… I could try to put you in touch with one of them if you’re considering doing that. Thank you, Patches! I got my first cortisone shot yesterday, and I have an appointment to get custom insoles in a week. I start the trail in late February, so my main concern is that first 500 miles, or so. After that, you know I’m switching to Chacos, at least for a portion of the day to start until my tendons adjust. I hiked a 14er in Colorado last July in the Chacos, and my ankles were definitely feeling it afterwards! I read WonderGimp’s blog. I don’t really want to be nicknamed for my Neuroma, even though it’s awesome she made it to the end. Do you have any suggestions for hiking shoes with wide toe boxes and tighter heels with a semi-rigid construction? I’m a supinator. My usual problem with wide-toes is that the heel is also wide and gives me mad blisters. If not, that’s okay! Thanks for the heads up, although I’m officially scared. Yeah, I have a similar problem… With more rigid-soled boots either the toebox is too narrow and the shoes aggravate my neuromas, or the heel is too loose and I get blisters… If I need to use a boot with a rigid or semi-rigid sole (for mountaineering or winter hiking) I choose to go with the loose heal and the wide toe box becayse my blisters always got better over time (when well cared for), but my neuromas just get worse and worse over time. (The cortisone shots definitely helped for my PCT thru-hike, and I didn’t have any issues with the tendons in my feet during the hike or afterwards). My advice: before purchasing your hiking boots, carefully feel the inside of the heel with your hand… some boots (like the Merrel Moab’s) seem to have an extra lip of padding between the heel and the achilles tendon on the back of the heel, and those inevitable cause extra “special” blister issues… some even have seams along the back of the heel that you can feel… avoid those like the plague! If you can feel a bump, edge, lip, or seem with your hand, your heal will feel it too! When I have to use shoes with a stiff sole and a heel that is too wide, custom orthotics can help provide a more rigid/structured heel cup which helps. Bring your boots with you when you get the custom orthotics made if you can and pay attention to the way the orthotics fit into the heel of the shoe… if you’re not careful you’ll end up with blisters along the junction between the shoe and your rigid insoles/orthotics! I wear socks with two layers to try to reduce friction, but I still have problems with blisters/hot spots on my heels until my heels have broken into the shoes (in the battle of shoe vs. heel the shoe usually wins… toes vs. shoes is closer to 50/50 because my toes will eventually wear holes through the fabric of the toebox, which is actually a good thing… I want my toes to win). During the miles where my heel is “breaking-in” I wrap it fairly elaborately with athletic tape to protect it and prevent blisters. In cold/wet conditions I may also use a friction-block/anti-chaffing stick and coat my entire foot with it to help prevent blisters and trench foot. I haven’t found the perfect balance of wide toebox and narrow ankle in rigid or semi-rigid soled hiking boots yet, but for both trail shoes and running shoes I use Altra’s and love them! Thank you, Patches! I can’t thank you enough for forging the way!